We head out around 7:30 AM, after planning to leave at 7. This was pretty standard for us. No matter when we said we would leave, it was invariably half an hour later until we actually got out. This is the first river crossing out of Sam Tsok. 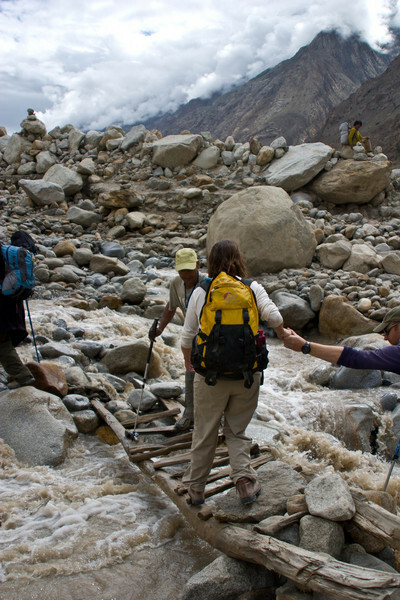 We were instructed to bring sandals for this crossing, as if the water is high, the "bridge" is underwater. But we got lucky and all got across nice and dry.